The term "Fallen Flags" describes those railroads whose corporate names have been dissolved through merger, bankruptcy, or liquidation. 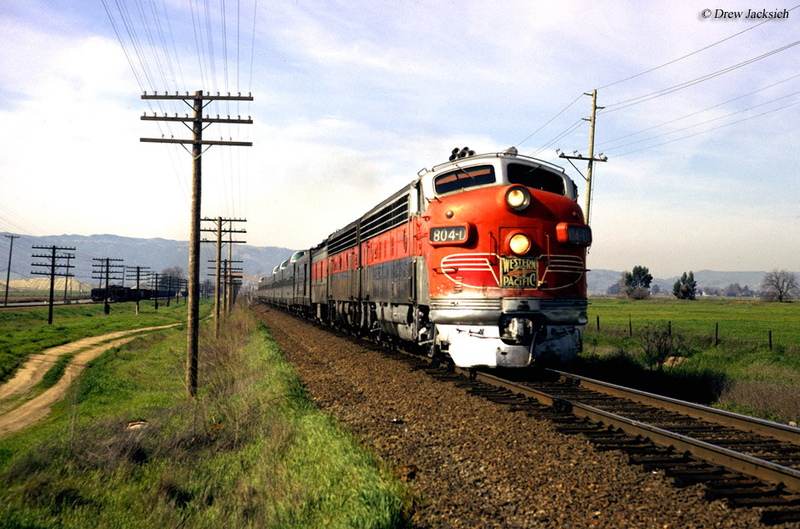 At one time the United States boasted nearly 140 Class I's (According to the Association of American Railroads, prior to 1956 this defined a carrier which earned at least $1 million in annual operating revenue. It has been revised several times throughout the years.). 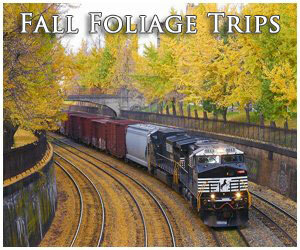 Today, many of these classic railroads are but a memory. 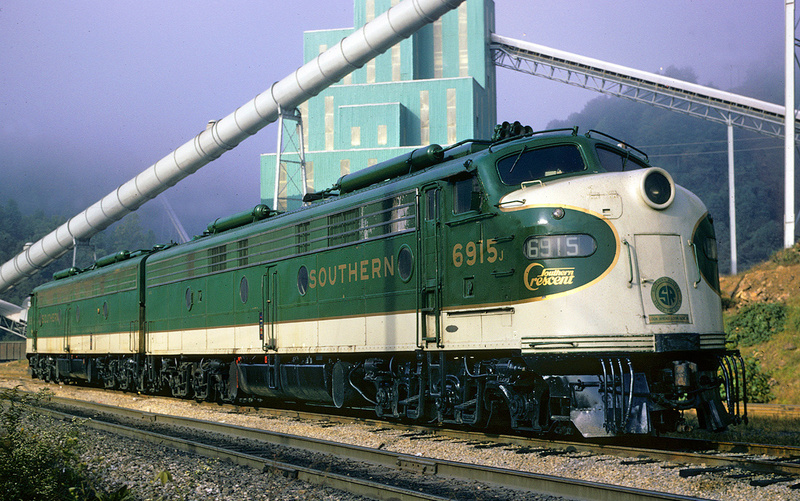 The older folks reading this can remember those bygone days when corporations like the legendary Atchison, Topeka & Santa Fe Railway, the mighty Pennsylvania Railroad, and prosperous Southern Railway all served America. And, of course, who can forget our country’s first common carrier, the Baltimore & Ohio Railroad, which survived for 160 years before disappearing into CSX Transportation in 1987. 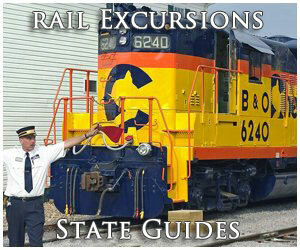 There are many areas of the industry to study, ranging from locomotives to streamliners. However, few remain as popular, or as enjoyable, as the venerable "fallen flag." They defined the regions they served while providing invaluable transportation needs for local communities. Most of the fallen flags remembered today were derived from systems originally built during the 19th century. Some railroads, such as our country's first common-carrier, maintained their original name for well over a century while others were brought about through either consolidation or reorganization. The railroad may have been born in England but it quickly caught on in the United States. Following the early chartering of the B&O, Mohawk & Hudson, South Carolina Canal & Railroad Company, and others by 1835 the fledgling country had 1,000 miles of track in operation according to the book "Railroads In The Days Of Steam," published by the editors of American Heritage. In addition, as John Stover's title, "The Routledge Historical Atlas Of The American Railroads," points out expansion was rapid; of the twenty-six states in the Union by 1840 only four did not contain a single mile of track (Arkansas, Missouri, Tennessee, and Vermont). Through 1860 there had already been more than $1 billion invested in the industry (interestingly, $200 million of this total came via English or European interests), which then boasted 31,246 miles in service. Bessemer & Lake Erie, "The Bessemer Route"
Buffalo, Rochester & Pittsburgh, "Safety & Service"
Maryland & Pennsylvania, "The Famous Ma & Pa"
Monongahela Railway, "The Biggest Little Coal Carrier"
Penn Central Transportation Company, "High Speed Service"
Pittsburgh & Lake Erie "The Little Giant"
Pittsburgh & West Virginia "The Hi-Line"
Western Maryland, "The Fast Freight Line"
The growth only continued after the Civil War as promoters pushed ribbons of rail westward, highlighted by the completion of the Transcontinental Railroad in May of 1869. Construction quickened after this momentous event and peaked in the 1880's. During that decade, as historian H. Roger Grant notes in his book, "The Corn Belt Route: A History Of The Chicago Great Western Railroad Company," the national network grew from 93,267 to 163,597 miles! It was the single greatest period of expansion. The latter 19th century witnessed many fallen flags brought together while others, such as the Western Maryland and Virginian Railway, completed their systems in the early 1900's. The classic American railroad as we best remember it survived until the 1970's, a decade that reached a crescendo of bankruptcies and mergers. 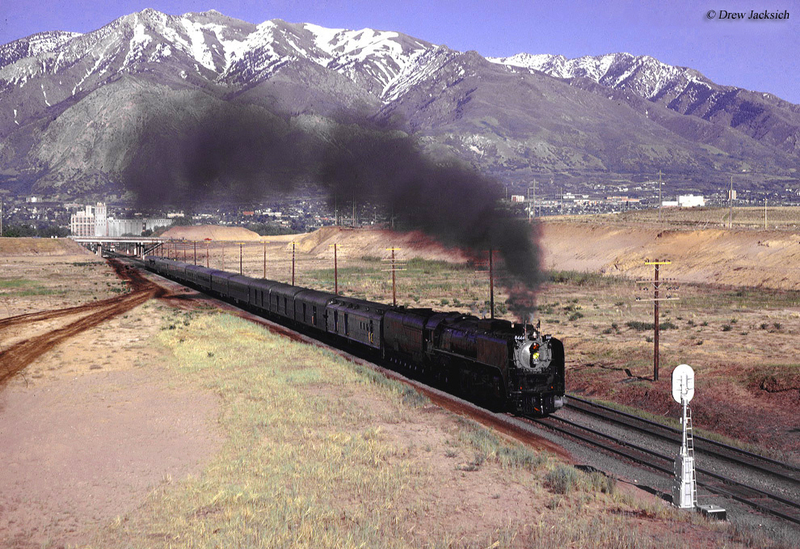 The government's severe regulations, dating back to the early 20th century, were largely to blame along with the railroads' difficulty in reducing crew sizes (even after technological advancements, including diesel locomotives, wireless radio, and computerization made such possible). These issues were partially self-inflicted, a result of executive greed and hubris during the 19th century that led to much of the federal oversight. 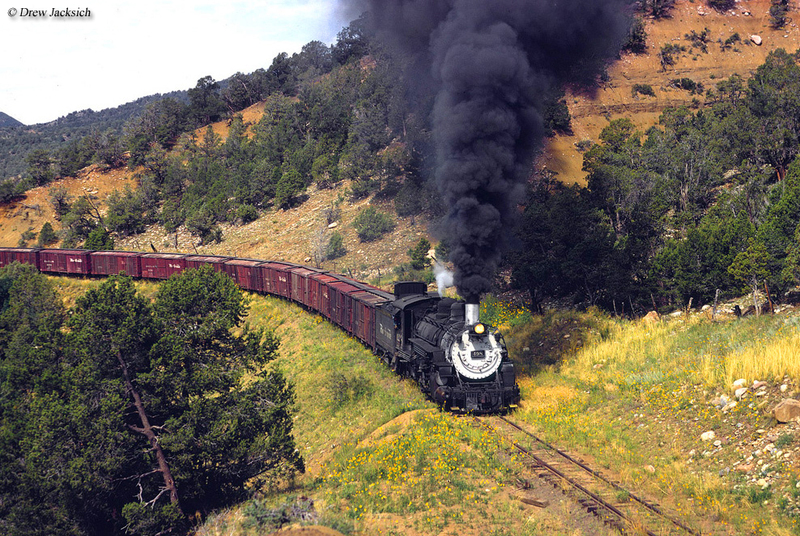 While the "Golden Age" officially extended from the 1880's until the Great Depression, ask most railfans the single greatest period and many would point to immediate post-World War II era, through the 1960's. 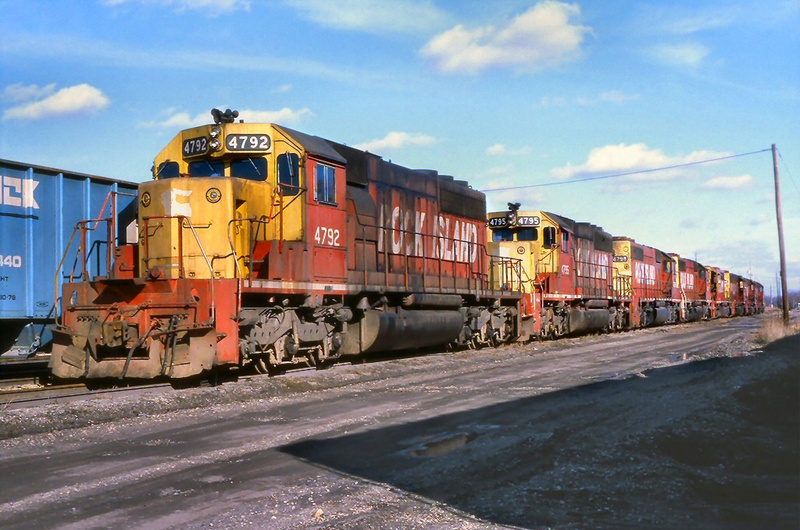 During this time, although in decline, the industry was still generally profitable while it made the switch from steam to diesel-electric technology. 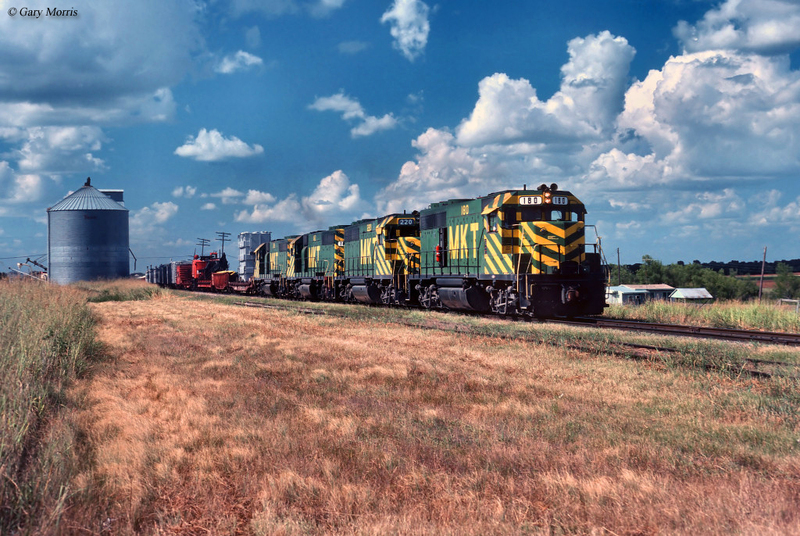 In addition, numerous, vibrant paint schemes adorned first-generation diesels, built by the five major manufacturers (Electro-Motive, American Locomotive, Fairbanks-Morse, Baldwin, and General Electric). 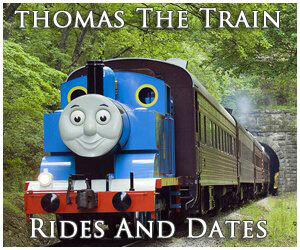 With a plethora of different emblems roaming the rails it was quite an era for anyone interested in trains. Because these many systems served a particular region it was not uncommon for local communities to call a railroad their own. 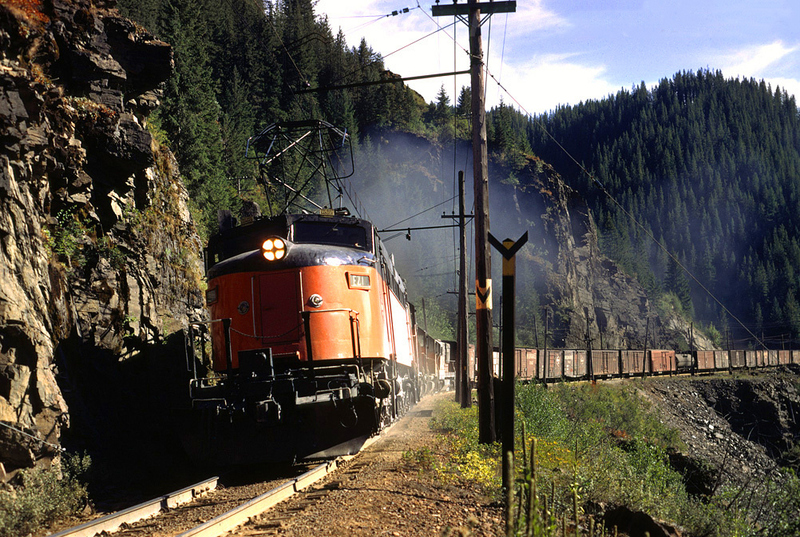 Examples here include the New York Central, Reading, New Haven, Western Pacific, Atlantic Coast Line, Missouri Pacific, and the list goes on of carriers serving either a block of states or specific area. Following the mega-merger movement this is no longer the case as a single railroad can now extend from New York to Chicago or link San Francisco with St. Louis. Central of Georgia, "The Right Way"
Gulf, Mobile & Ohio, "The Rebel Route"
Shamrock Coal Company's, "Oneida & Western"
Tennessee Central Railway, "The Nashville Route"
Through the many mergers over the years not every classic system has disappeared. The two most notable include Union Pacific and Kansas City Southern; the former has been an American institution for generations. UP recognized the need to expand and grow as the merger movement picked up adding the Western Pacific, Missouri Pacific, Chicago & North Western, Rio Grande, Missouri-Kansas-Texas, and Southern Pacific to its network from the 1980's through mid-1990's. In addition, the much smaller Kansas City Southern has, itself, somehow survived. 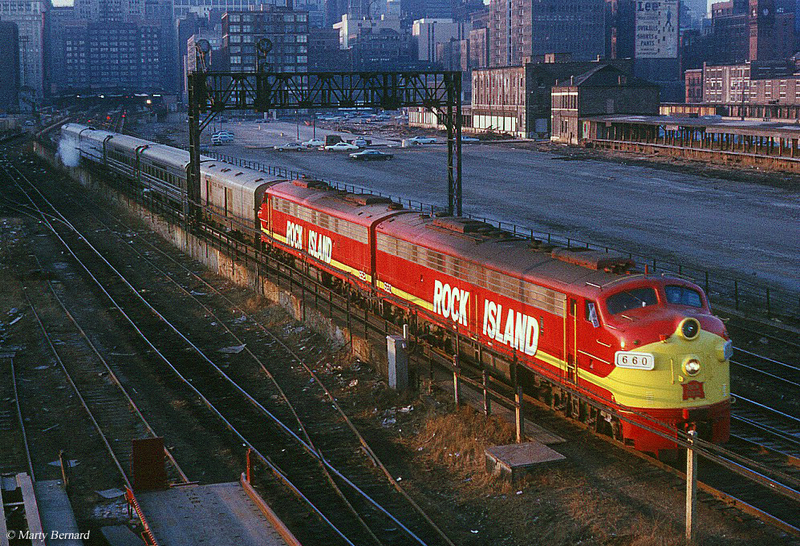 For many years this regional pike operated a system of less than 1,000 miles connecting Kansas City with the Gulf Coast. It then rapidly grew during the 1990's as it expanded north into St. Louis and Illinois and south into Mexico. Today, it remains the smallest Class I. 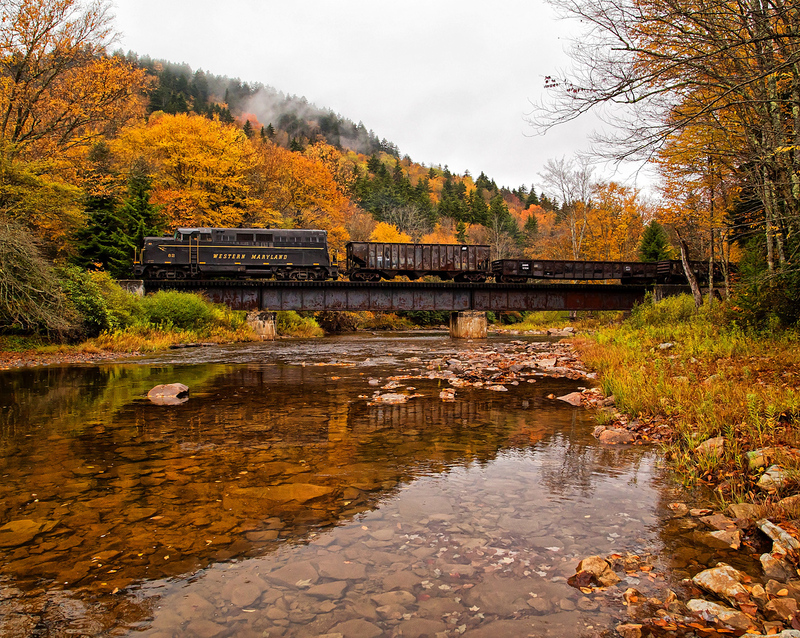 There are many other lesser known railroads which still carry on; names like the Ann Arbor, Florida East Coast, Susquehanna, Escanaba & Lake Superior, Iowa Traction, Louisiana & North Western, and others. Akron, Canton & Youngstown, "Ohio's Road Of Service"
Chicago, Aurora & Elgin, "The Roarin' Elgin"
Chicago & Eastern Illinois, "Speed-Efficiency-Service"
Chicago Great Western, "The Corn Belt Route"
Detroit & Mackinac Railway, "The Turtle Line"
Detroit, Toledo & Ironton, "We Have The Connections"
Duluth, Missabe & Iron Range, "The Missabe Road"
Duluth, Winnipeg & Pacific, "Delivered With Pride"
Green Bay & Western, "The Green Bay Route"
Grand Trunk Western, "The Good Track Road"
Illinois Terminal, "The Road Of Personalized Services"
Minneapolis, Northfield & Southern, "The Dan Patch Line"
St. Louis Southwestern, "The Cotton Belt Route"
Atchison, Topeka & Santa Fe (The Santa Fe), "Ship And Travel Santa Fe, All The Way"
El Paso & Southwestern, "The Southwestern Route"
The Missouri-Kansas-Texas Railroad, "The Katy"
Missouri Pacific, "Route Of The Eagles"
Southern Pacific, "The Friendly Southern Pacific"
Spokane, Portland & Seattle, "The Northwest's Own Railway"
Western Pacific, "Feather River Route"
Here within this page you will find information on some of the best remembered fallen flags, each described in much more detail, broken down into the territory where they operated. Since the website debuted I have finally had the chance to feature many of these although I realize that some are still omitted. As time allows, I will try to cover most of these companies. As it currently stands there are already more than 100 such systems highlighted. 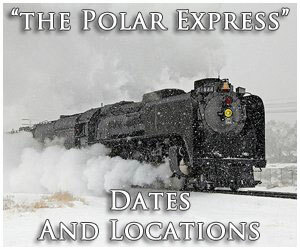 You may notice that Canadian National and Canadian Pacific are now included in the website. After giving it much thought the two lines have played too significant a role in our nation's railroad history, especially in its current and future state, to be left out and unmentioned. 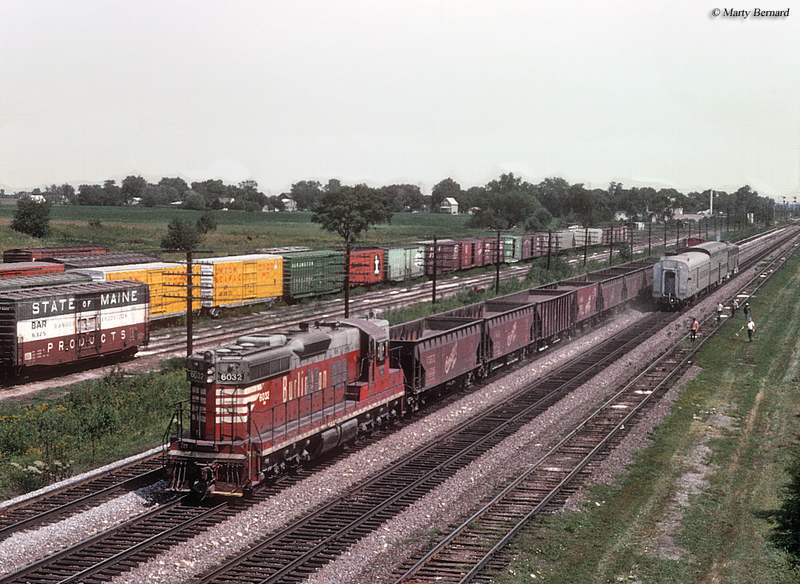 For instance several are now of Canadian ownership/control such as the Soo Line (and indirectly the Milwaukee Road through the Soo's takeover by CP), Delaware & Hudson (today, partially owned by Norfolk Southern), Illinois Central, Grand Trunk Western, Central Vermont, and the Duluth, Winnipeg & Pacific Railway.